Welcome to our e-Safety Net newsletter signup form. 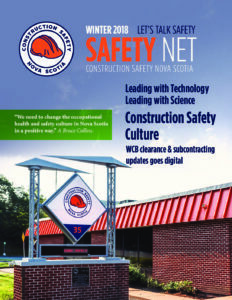 We look forward to connecting with you on an ongoing basis to keep you posted on Construction Safety Nova Scotia and industry related information. Once you have completed the fields below and click “Subscribe”, to be placed on our e-Safety Net newsletter list. We encourage everyone to download or read online our most recent newsletter, read about the new projects in the safety association and celebrate our successes. Please find bellow a list of archived newsletters for your reading.